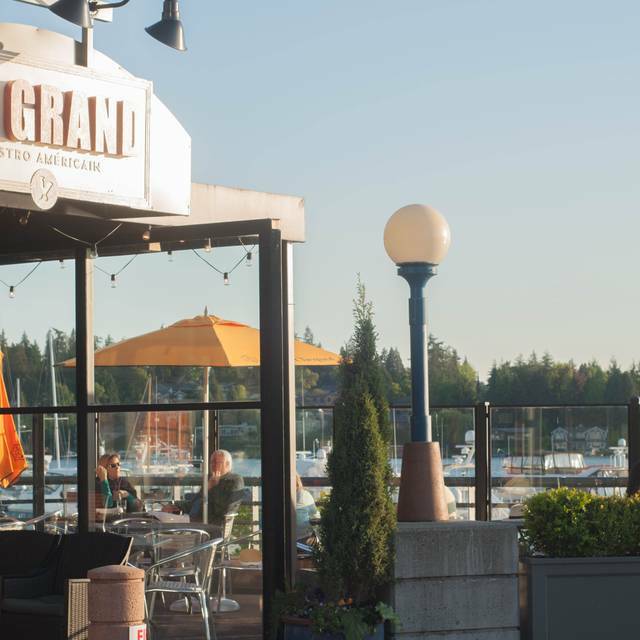 Le Grand Bistro Americain offers casual urban french dining and stunning views of Lake Washington, located at Kirkland's Carillon Point. Lunch specialties include Moules Frites, Boeuf Bourgignon, Steak Frites, Freshly composed salads, Croque Monsieur or Madame, Le Burger Americain or Lamb Burgers served on house baked breads and Brioche buns. Dinner specialties include steaks in both American and French preparations, Seattle's best Boeuf Bourgignon, Bouillabaisse, and Duck Breast a l'Orange. Choose from an array of seasonally inspired fresh fish specials, artfully displayed tableside on our chalkboards. Order a Petite or Grand Plateau of fresh oysters and shellfish from Le Raw Bar & Oysters for $1.75 each, Pork Belly or Beef Sliders, hand cut frites and Pichets of wine grace the Happy Hour menu Monday through Friday, 3 pm - 5:30 pm. The South Room offers seating for up to 50 people in a restaurant dining configuration, or 30 in an array of three rectangle table configurations. It may be reserved for parties of 20 or greater(smaller parties by arrangement).Please send inquiries via email to info@bistrolegrand.com. 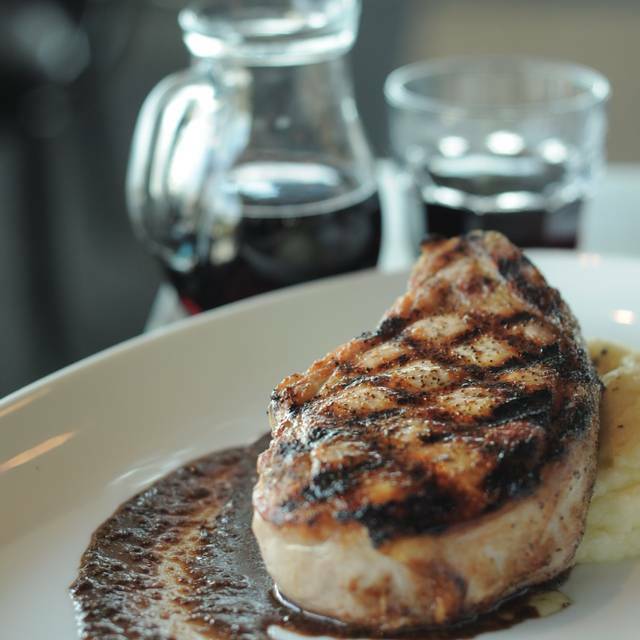 Le Grand Bistro offers $7 valet parking or free validated parking (2 hours, free after 7 pm winter and 9 pm summer). Ask for the dessert list with our famous glaces, made here! This is always a sure bet. The menu is always interesting, the service always friendly but professional, and the food consistently good. The view is lovely. They got us served quickly and efficiently when we told them we had a theater to get to, but if you want to linger they are happy to oblige. Just a great all around place to go with friends, to celebrate, or just to have a wonderful dinner. I ordered the duck confit salad. What showed up on my plate was an overdressed mound of salad and a very small amount of duck. I was very disappointed and am not happy that I spent over $40 dollars for my lunch which was not very good. This is one of my favorite places in the area. I come here with friends, always bring here anyone visiting from out of town. The food and service are excellent, and I especially love to escape from boring downtown Bellevue to this oasis on the lake. Never fails to impress visitors and never disappoints me. 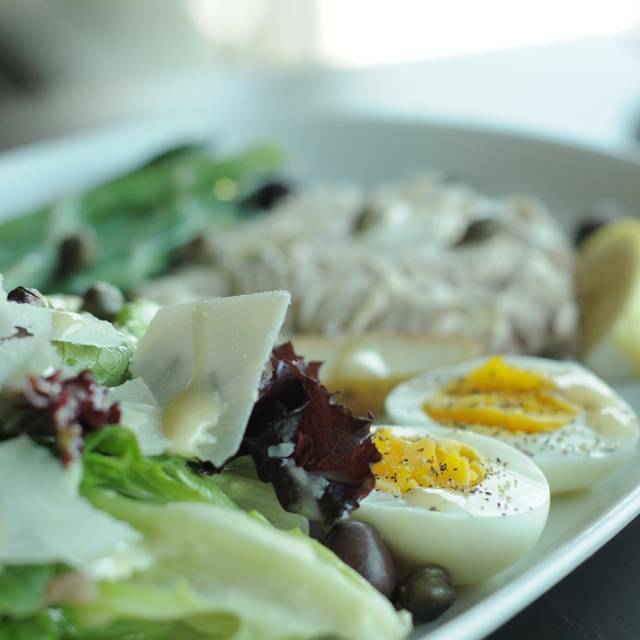 Their salade nicoise is the best I've had outside of Nice! One of my favorite spots on the Eastside - service is always attentive, food is great, and the views over Carillon Point toward Lake Washington are amazing. We most often come for dinner and are never disappointed. Only one suggestion: the to-go box and the plastic bag is a minus on the impression of the restaurant quality. The food and the service were all very good! First time on the recommendation from a colleague. We will be back. Awesome service and great waterfront views. You cannot go wrong. 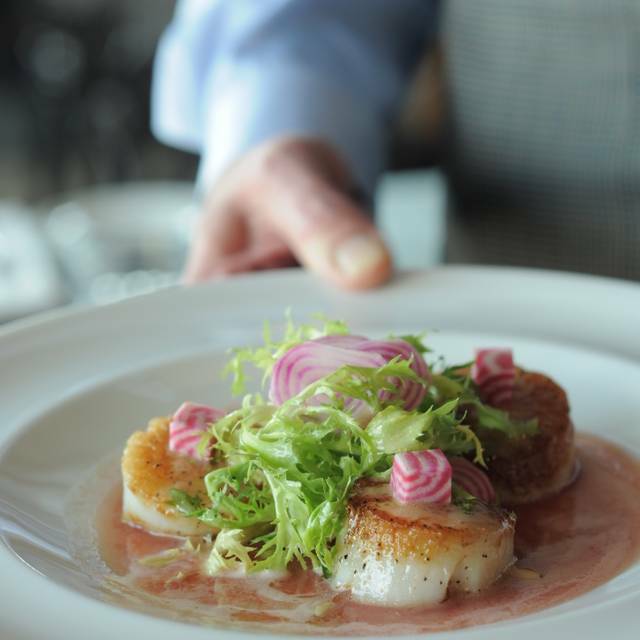 The Grand Bistro is a good, reliable choice for casual lakeside dining. The menu offers a range of things to please both carnivores and vegetarians. Service is good, and the noise level is pretty moderate; no one had to yell across the table. Service was amazingly well done. The food was excellent. It's a great place to dine, and watch the sunset. This is an incredible restaurant. It was very classy and upscale while remaining comfortable and relaxed. Quite romantic as well. Everything exceeded my expectations, which were pretty high to begin with! I made reservations for my fiance's birthday. We were sat in a booth with a view of the water, our waiter was so friendly and knowledgeable and nice, our food came very quickly, and oh my goodness.... It was the BEST food I've ever had. I had an very fancy salad with huge delicious prawns, and my fiance had incredible seared scallops with polenta goat cheese cakes and foraged mushrooms and other yummy veggies. I can't recommend this place enough. It is quiet expensive, but it was so worth it. The location, view, and foods are great. The service gets a bit slow when tables started to fill out. Overall still recommended. Good for a weekend brunch. Great find in Carillon Point. 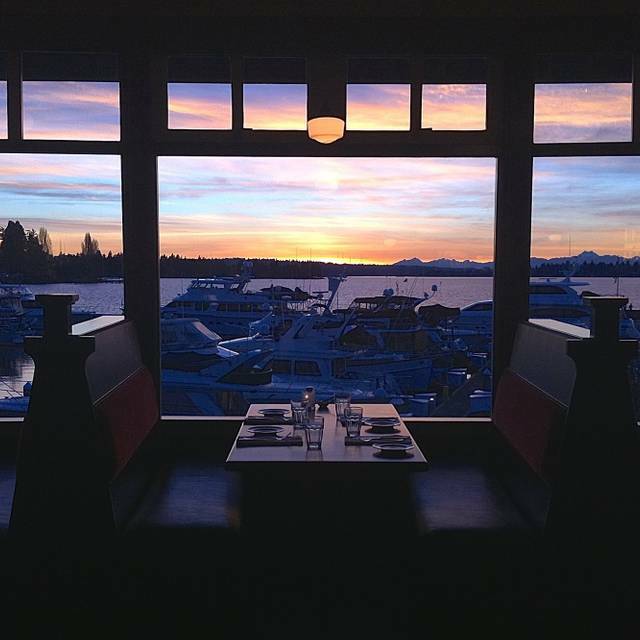 Exceptional food, great service, and views that are unmatched of Lake Washington. Been here a few times and they always deliver. Had the Chicken Salad (excellent with house-smoked chicken), the French Dip (pretty good), the Beet Salad (pretty good), and the Mushroom Soup and the Carrot Soup (both excellent). Service was spot on. Parking validation for 2 hours in the garage. Great location. Good service. Good food but pricey. Some menu items not available at 630p seating. Good to celebrate a special event. My back was to the lake but a conveniently placed mirror allowed me to enjoy the Olympic mountains and Lake Washington. Lunch for 2 with wine was $70. Great food and great menu. Service was slow and inattentive. Waited for things at every stage of the meal. Not ready to order? See you in twenty minutes! Got your meals? Come ask how they are at the last bite! Wine glass empty? Lots of passing by the table. No stopping to ask about another glass of wine. Lots of people milling about. Not a lot of attention. Food was not that great. Service was very tense. View from restaurant is very Nice. Walter was excellent as always. Food, service, ambiance, location et all was most enjoyable as always. This is our goto restaurant in Kirkland! Sunset view over the water was awesome. Food and service was outstanding! Great food, great happy hour, and great service. The sunset view is outstanding. Great food and experience, as always. The NY steak is fantastic. Date is traveling to France next month so we asked for a French speaking waiter. Walter pulled together a 5 course meal for us where we shared Oysters, escargot, beet salad, duck and creme brulee. C’est Magnifique! We love LGBA....one of our top 5 Eastside venues! Always enjoyable and the view is hard to beat year ‘round! Consistently excellent food and service & I eat here at least 3 times a month. We’ve had many great experiences in this restaurant, but this was not one of them. The server was rushed, slow, and even rude at one point. Drink orders took forever. We are served cold food that also took an extremely long time - instead of just replacing it the server brought a bowl out and scooped up the cold portions, leaving other items and left. Finally brought new items, without any apology. Later he just threw dessert menus at us without a word. They used to have amazing food and service, so sorry to see it has gone downhill. the food tasty as ever and the oysters unbelievable!!! 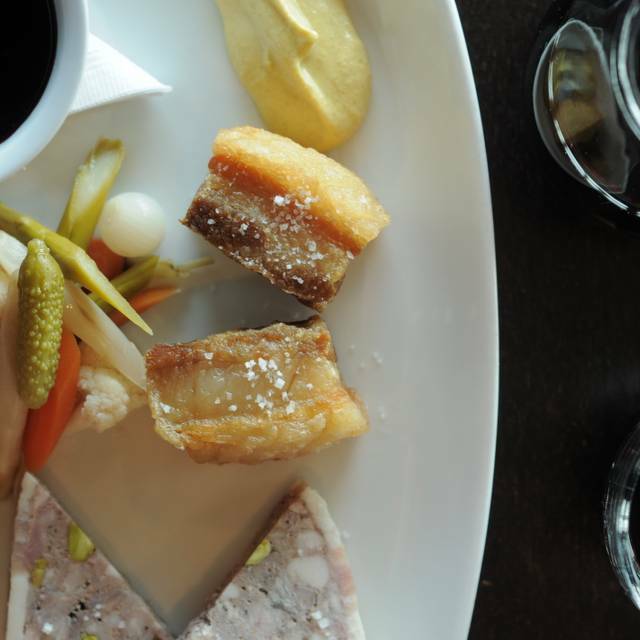 As one of our favorite restaurants we eat at Le Grand Bistro often and they never disappoint! Our waiter was fantastic. A wonderful blend of humor, knowledge and unobtrusiveness (is that a word?!). Food was great. And the views from our table were great. Excellent food and great service. My first time at American Bistro and we’ll be back! We went for a late Valentine’s day date! We had the mussels and fries and the risotto. We loved it. We were kind of surprised at the number of kids at a relatively upscale/date like restaurant. My husband felt like we were being rushed out as well, perhaps due to too many reservations. However we had a good dinner and our waiter was funny and attentive. We loved him! We always have an amazing time...the food, the waitstaff, the ambiance never disappoints us. Thanks for being our #1 restaurant. Our third time dining with them, incredible food as always. Had dessert with them for the first time and the Chocolat Mousse was heavenly. Great for special occasions and meals with friends. Highly recommended. Our server, Walter, was wonderful! The duck breast entrée went well with the Cote Bonneville red wine we brought. The lemon tart was a great pairing with the Conte Bonneville Ice Wine we brought.